A study could help explain alcohol's role in cancer and heart disease. Drinking alcohol can give you more than strong breath — it may mess up the balance of good versus bad bacteria in your mouth, researchers reported Monday. That, in turn, can raise the risk not only of gum disease and cavities, but also of cancer and heart disease, they said. Their findings, published in the journal Microbiome, could help explain why people who drink more may die younger than people who drink less, and why drinking can cause cancer. "Our study offers clear evidence that drinking is bad for maintaining a healthy balance of microbes in the mouth and could help explain why drinking, like smoking, leads to bacterial changes already tied to cancer and chronic disease," Jiyoung Ahn, an epidemiologist at NYU Langone Health's Perlmutter Cancer Center, said in a statement. "My report provides another scientific rationale for avoiding excessive alcohol drinking," she added in a telephone interview. Drinking alcohol kills off many “good” bacteria, and allows some potentially harmful bacteria to flourish in the mouth, they found. “Such changes potentially contribute to alcohol-related diseases, including periodontal disease, head and neck cancer, and digestive tract cancers,” the team wrote. Although people who drink lightly to moderately appear healthier than people who don’t drink at all, more and more studies are starting to show that even moderate drinking can damage health. Drinkers are more likely to develop a range of cancers, as well as heart disease, and alcohol's stress on the liver is well known. Heavy drinkers also notoriously can lose teeth and develop gum disease. Ahn’s team set out to determine whether some or all of these various types of damage are due to alcohol’s effect on the microbiome in the mouth. Microbiomes are the collection of microorganisms, including bacteria, yeast and viruses, that live in and on our bodies. They help digest food, can protect from disease and might cause disease, as well. People with imbalances may be more prone to obesity and asthma. Researchers are trying to figure out what the elements of an optimal microbiome are but the lack of detailed evidence has not stopped health food stores and websites from offering a range of “probiotic” products that claim to improve health. The NYU team looked at two big surveys of health in which people provided samples from their mouths for analysis and also provided details of their drinking habits. They ended up with details on more than 1,000 people, including 270 nondrinkers, 614 moderate drinkers, and 160 heavy drinkers. Men who drank more than two drinks a day on average and women who drank more than one drink daily were classified as heavy drinkers. People who drank more had less abundant populations of Lactobacilli, so-called “good” bacteria. “Evidence shows that Lactobacillales have a beneficial effect on oral health,” the research team wrote. Drinkers also had more abundant populations of Streptococcus, Actinomyces, Leptotrichia, Cardiobacterium, and Neisseria — all considered potentially harmful. It’s not clear if drinking simply kills off some bacteria, allowing others to flourish, or whether it encourages the “bad” bacteria to flourish by affecting saliva production or by making a friendlier environment for the bad bugs. This was what’s known as an observational trial. The researchers could not show cause and effect. They also wanted to see whether wine drinkers are somehow different from people who drink beer or spirits more often, but didn’t have enough people to show that. 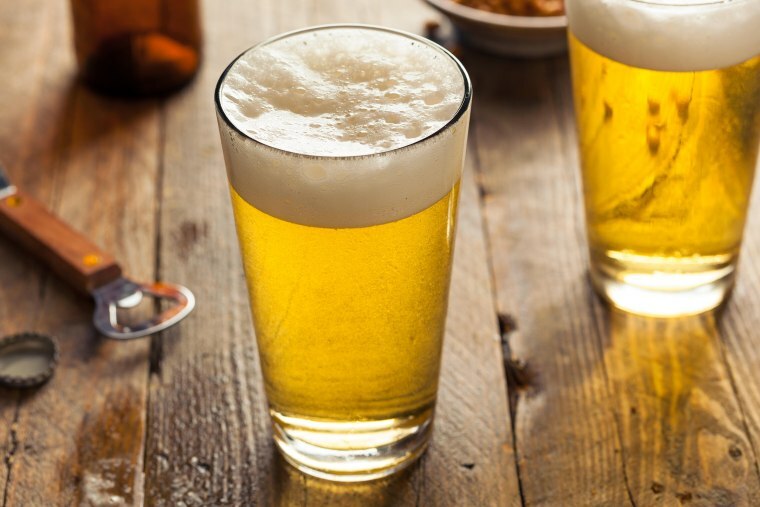 “A trial where moderate or heavy drinkers were randomized to continue or stop drinking for a long enough time to influence the oral microbiome could provide more definitive information,” they wrote. Ahn said he team has already shown that smoking changes the mouth's microbiome, and they're planning other studies about how food and drink can affect it. Ahn said she had not thought about what her team's findings might mean for people who use alcohol-based mouthwashes. But she says she believes alcohol is affecting mouth bacteria both directly and indirectly. When people drink alcohol, she said, the body metabolizes it and products of that metabolic breakdown go into the blood and travel throughout the body, including back into the mouth. "We don’t swallow mouthwash," she said.